“I don’t know what ‘replacement theology’ is,” I replied. Up until this moment, I had never heard of replacement theology, but from the energy of her countenance, it was abundantly obvious that being a ‘replacement theologist’ was bad. Really bad. Still, I truly wasn’t sure what she was talking about, so my ignorance served to buy me some time before I had to defuse this landmine that was about to go off. Replacement Theology is a label that has been given to the idea that the modern-day Church has “replaced” Israel as the chosen people of God. As Dr. Welton accurately suggests in this video, it is a label that has become so offensive to some that having an open discussion about the subject behind the label is almost impossible. Because of this stigma associated with ‘replacement theology’ I prefer to use the term “Fulfillment Theology”. 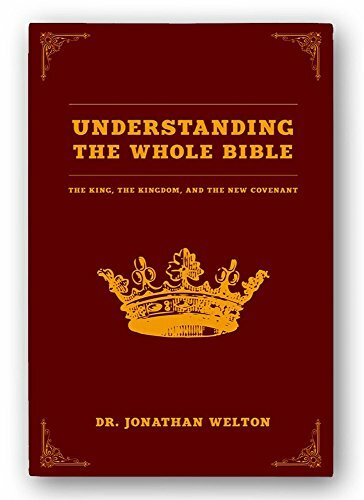 Similarly, Dr. Welton has coined the term “Better Covenant Theology” as his response to the offense that has been created around ‘replacement theology’. If you are one of those who has heard of ‘replacement theology’ as being 100% a bad thing, I ask that you suspend judgment for the length of this video and consider the overall point of the idea. Namely, that God loves China just as much as He does Israel. He loves Mexico just as much as He does America. He loves space aliens just as much as he does humans. He loves the planet just as much as he loves the moon. Why? Because He IS love! Love isn’t just what He does. For those who might argue that being chosen and being loved are two different things, I would agree with you. So if it’s not about who God ‘loves’ more, what does it mean to be the “chosen people of God”? In the case of Israel specifically, they were most certainly ‘chosen’. The question then becomes… Chosen for what? And for that matter… Chosen for how long? The answers to these questions aren’t hard to find. As a matter of fact, they are the theme of the majority of the Old Testament and everything that Israel ever did. Israel was chosen to be the tribe THROUGH whom the Messiah would come (a.k.a. The ‘Promise’). Their religious system was chosen to pave the way for a better system. The culture was chosen to set the stage for a higher culture. Their story was chosen to be the allegory of humanity’s journey as a whole. Their covenant was chosen to be the prequel to a more-perfect covenant. And these facts will forever remain. Israel was chosen to usher in something better. Someone better. Yet, the day eventually came when all of that ‘chosen-ness’ served its purpose, and in the fullness of time, Christ came. Christ is the fulfillment of all of those promises. 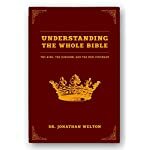 So much so, that to continue to look to a physical Israel as being the barometer for what God is doing on the earth, is to see the cross of Christ as incomplete. Not only that, but it is also what Dr. Welton calls “Christian racism”. Since 70 AD there has never been another physical temple, another sacrifice, or another High Priest; for the old has gone, and the new has come. The Church has not come to ‘replace’ Israel in the plan of God. The Church is actually the evidence that Israel’s promises have all been fulfilled. The Church is the fruit of God’s promise to Abraham that his seed would bring salvation to the whole world, and His promises to David that his seed would sit on the throne for eternity. Thus, the Church has CONTINUED these stories, not ‘replaced’ them. To illustrate this point Dr. Welton uses the analogy of a train with passengers that get on and off at different points. I encourage you to consider the lens change that sees the Church as a continuation of the same story and not the re-writing of the original one. If you can see this with fresh eyes, I believe you begin to see just how damaging the modern idea of Israel’s ‘chosen-ness’ has become. Instead of living in the fullness of what Christ has already done, people are waiting for another divine intervention. Not only does this become a slap in the face of Jesus, but it makes the Church powerless and obsessed with the future. Instead, we are called to be powerful and effective in the present. No longer waiting for the Kingdom to come, but manifesting the Kingdom that showed up 2000 years ago with its King.